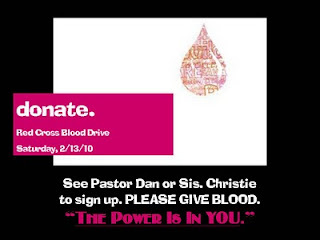 Sign up to GIVE BLOOD by emailing Christie. Take a peek at last year's Blood Drive by clicking HERE. Click on the Heavenview Community Efforts video. Heavenview is partnering with the Red Cross of Winston-Salemto save lives.